The Finnish ferry operator Viking Line expanded market share at North Baltic in 2016 to 33.5% and reported revenues increase of 9.4% yoy to 472.6 million EUR. The volume of sales decreased by 2% in 2016 due to long absence of two ferry lines, undergoing repairs, as well as increasing the salary fund and the fluctuations of the Swedish krona. However, Viking Line managed to reduce the cost for bunkering by 18.9%, spending 39.5 million EUR. This was made possible by reducing the price of diesel fuel (bunkering of oil in the Baltic Sea is prohibited since 2015), as well as through modernization of the fleet in the 2015-2016, which optimized the fuel consumption of the company’s ferries. The ferry operator notes that the competition in the sector remains high and expects to lose market share in 2017. In turn, this will have an impact on prices, on which the passengers will benefit. The Viking Line also expected to increase in the price of fuel, which will have a negative impact on profitability. However, as a whole, the company forecasts an increase in the current year’s operating profit. In 2017, Viking Line will continue to invest in the development of its fleet. 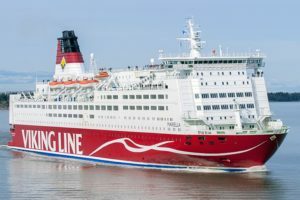 In particular, in January, it has been technically upgraded ferry Viking XPRS, connecting Helsinki and Tallinn. On the same line in the spring the company will launch the fastest vessel Viking FSTR, which will cover the distance between the two capitals in just 1 hour and 45 minutes, carrying 836 passengers and 120 cars. The company also invests in the renovation of the ferry Viking Grace, which is operating on Turku-Stockholm line, which will install turbosail for hybrid usage of wind power and will reduce fuel consumption by 300 tons per year. Finally, Viking Line ferry to be a new generation of financing the construction. The corresponding agreement of intent was signed with the by line Xiamen Shipbuilding Industry in 2016. 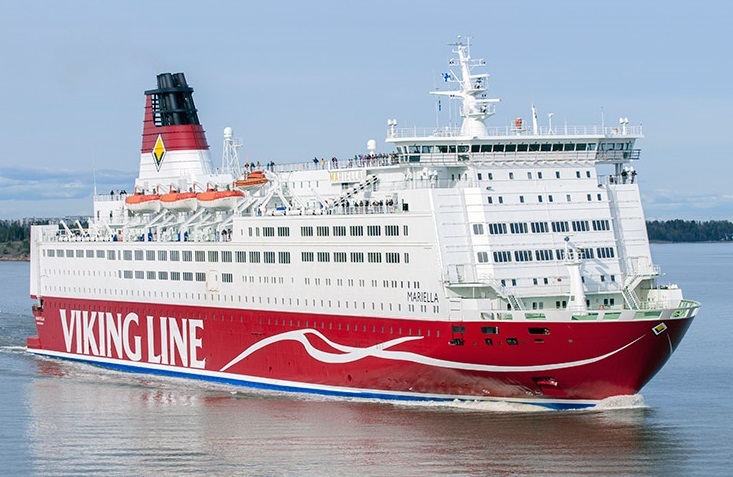 Viking Line is Finnish shipping group performing passenger and cargo transportation on the Baltic Sea since 1959. The company is Registered in Aland c headquartered in Mariehamn, which is also the home port most of the company’s ferries. It operates a fleet of seven cruise ferries on five routes.